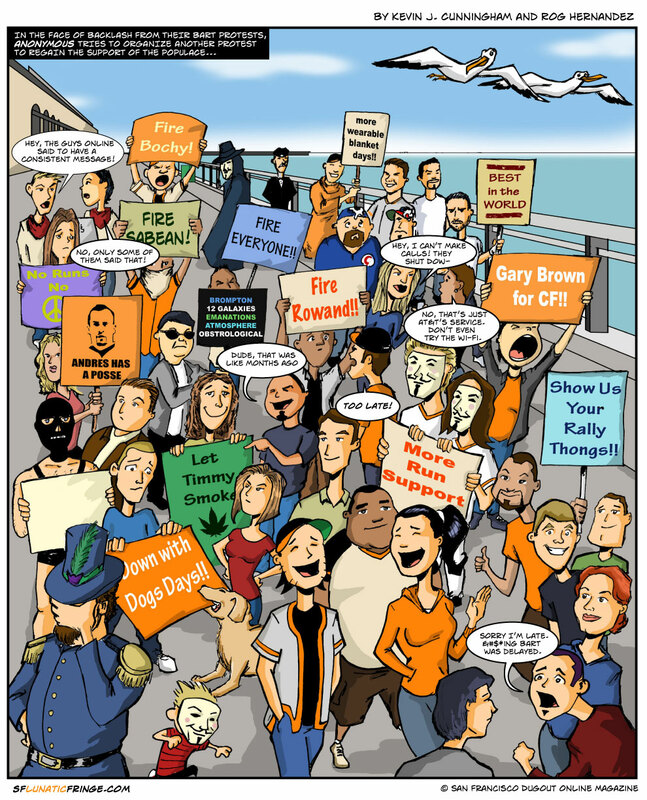 If you haven’t been following the Anonymous/BART drama, well, you’re probably not a commuter. To be blunt and short about it, no matter what sympathies I may have for the reasons behind the protest, I just can’t respect Anonymous. They’re cyber-bullies. They are the ultimate hypocrites, striking at their adversaries by posting their private information, while their name alone proudly declares their own privacy. And most ridiculously, they’ve ripped off a Hollywood-grown, developed and delivered symbol to symbolize themselves. Way to be counter-culture guys, even if you’re Natalie Portman fans. I find it especially laughable that the group so dedicated at fighting abuses of power has chosen the effigy of a man who wanted to install into power a puppet, child ruler whose strings would be controlled by an ultra-conservative, religious-empowered regime that was more than happy to dictate its wills and wants to the general public and control them through questionable means. (I’m talking about the 16th century Catholic Church, which is far different than today’s.) I wonder if there is a single member of Anonymous who understands the irony of it. So yea, stop messing with our BART. Absolutely, there are things that need to be dealt with in terms of BART’s police and management, but all you’ve done is push those who are undecided in the balance of keeping order and security versus freedom to the former, by equating freedom with anarchy. Not cool. Meanwhile, one guy working way past any delays is Rog Hernandez, the artist. Give the man some props on @sflunaticfringe on Twitter. He worked triple-time on this ‘strip’, and made it worth it. See if you can catch all the references to earlier this season. It might be past the point of making sense to even protest this Giants offense, however. 7 games back. It’s time to start playing for next season. Bench Huff. Bench Ross. Let’s see what Belt, Pill and Peguero can do. Hey, it’s not giving up on the season if you’re benching the player who aren’t performing!